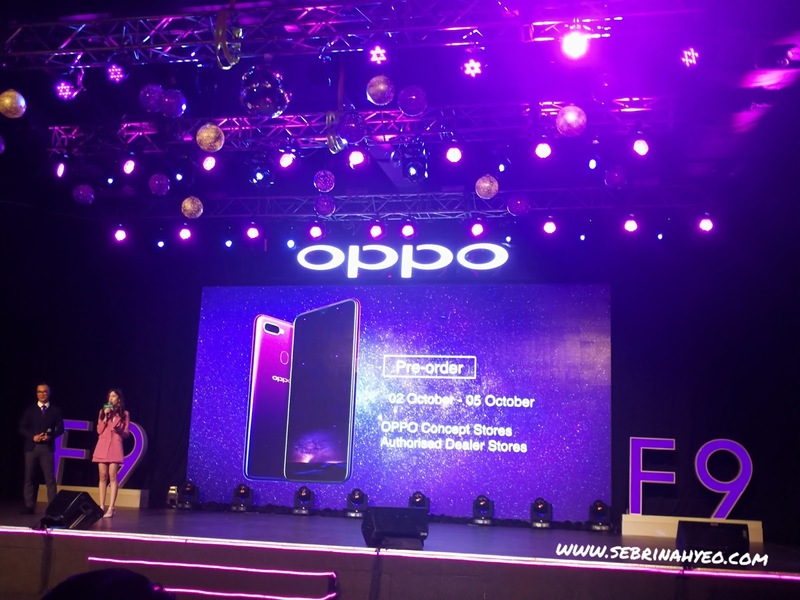 OPPO Malaysia launches their F9 Starry Purple today in Kuala Lumpur with Megastars Hebe Tien and Ayda Jebat! 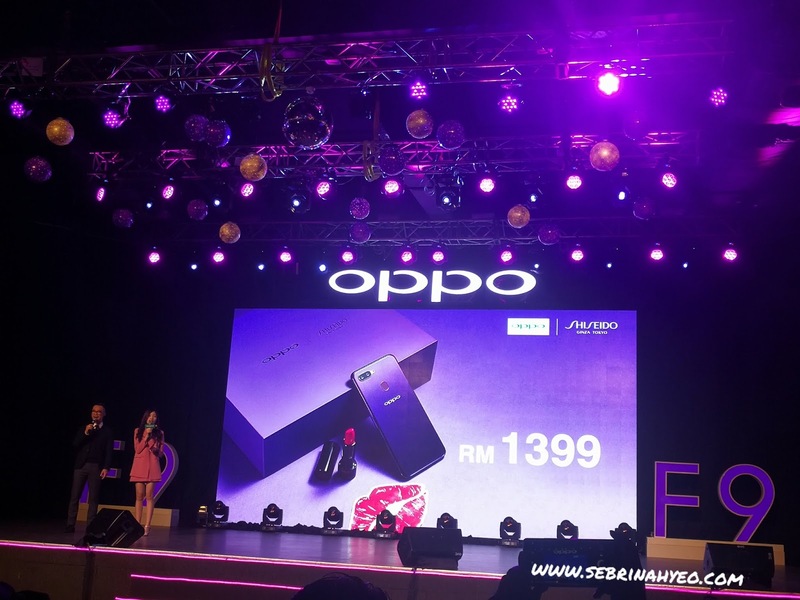 A star-studded moment during the LED Neon-lighted decor during the launch at KL Live! 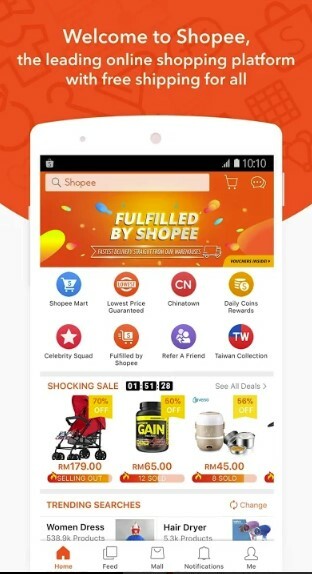 Brings about a unique collaboration of a mobile device with an internationally famed Japanese beauty leader in the makeup industry, Shiseido! 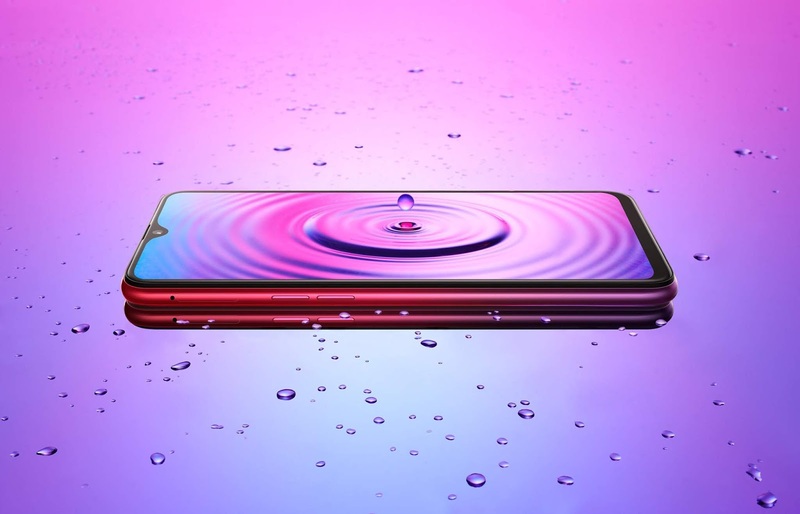 The F9 as most of you would have already seen it, houses a beautiful breakthrough design with it's waterdrop screen and gradient colors. At a glimpse of an eye, you will be able to submerge in the beautifully smooth, mysterious and alluring color that brings about an array of emotions of romance and elegance. 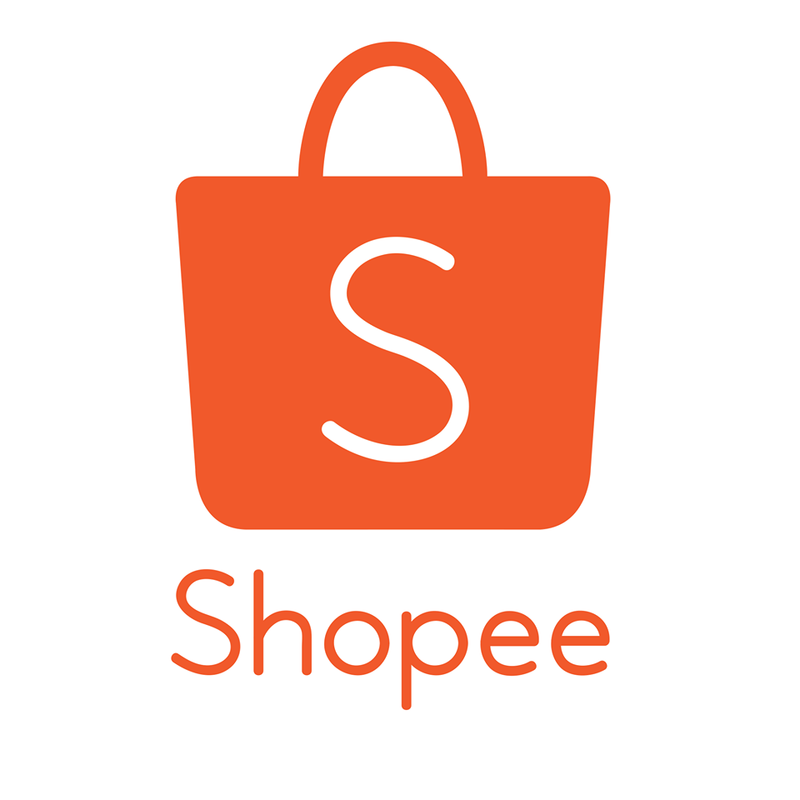 Early in August 2018, they released two gradient colors, Sunrise Red and Twilight Blue. Today the F9 Starry Purple with its beautiful purple gradient, displays a cosmic glowing color like in space, with stardust and stars; This is the first in the industry that uses two spraying methods which are bead powder and optical coating. 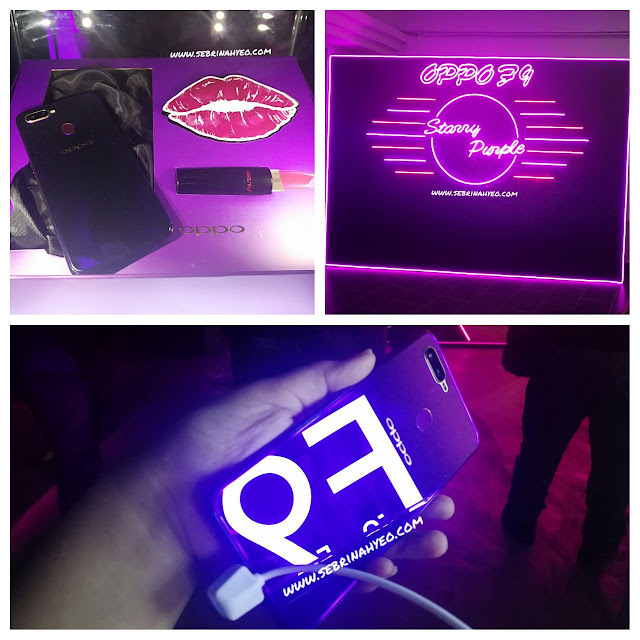 The designer wants to spread positive vibes whenever users look into the F9, as it is inspired by many wonderful things such as the lights of firefly and the twinkling stars in the night sky. 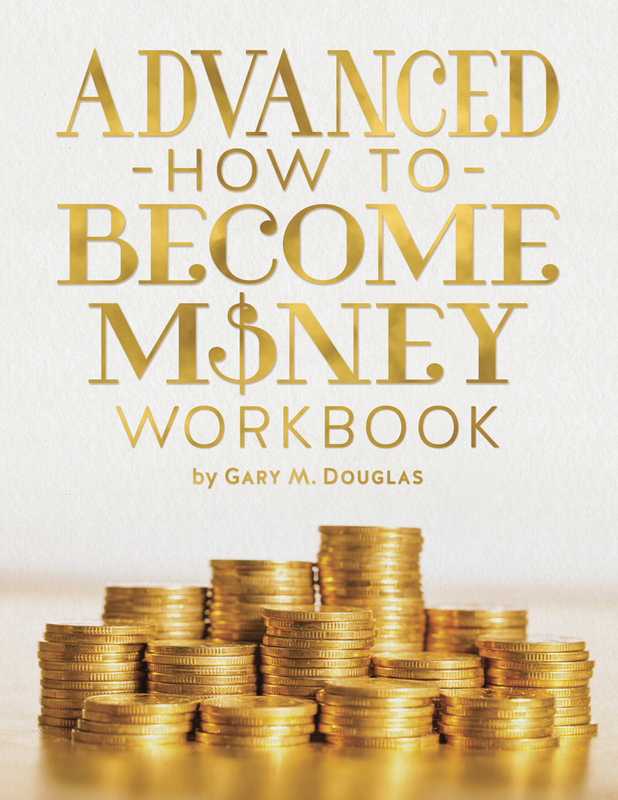 It's truly a wonderful sight to see and hold. It's also fashionable and easy to match with any style or event. Today we were embraced with the presence of OPPO F9's Ambassador, Hebe Tien, who expressed her happiness to witness the arrival of OPPO F9 Starry Purple in Malaysia. We were also entertained with a locally loved song bird, OPPO F9's Ambassador, Ayda Jebat who commented that Starry Purple is her charm and her connotation to herself. According to Nikki Chen, Branding Director of OPPO Malaysia, "These two celebrities have a diverse range of fans and symbolise the F9 perfectly as one radiates grace and the other elegance." The OPPO F9 comes with an impressive 6.3 inch bezel-less screen that features a resolution of FHD+. 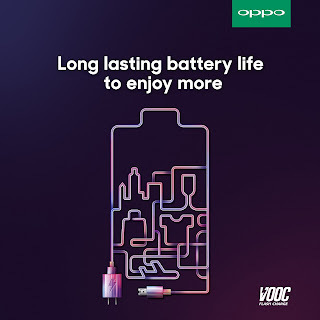 But what s it that sets apart the F9 from it's previous F-series predecessor, is their breakthrough charging capabilities with VOOC Flash Charge that has a charging speed which is four times faster than general charging, which only takes up to 5-minutes charging period! 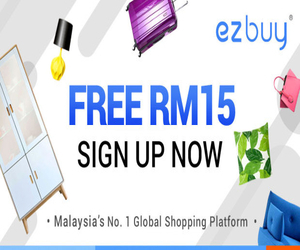 It's battery capacity is also reasonable which provides you up to 2 hours talk time performance. OPPO F9's 25MP front-facing camera does not disappoint! 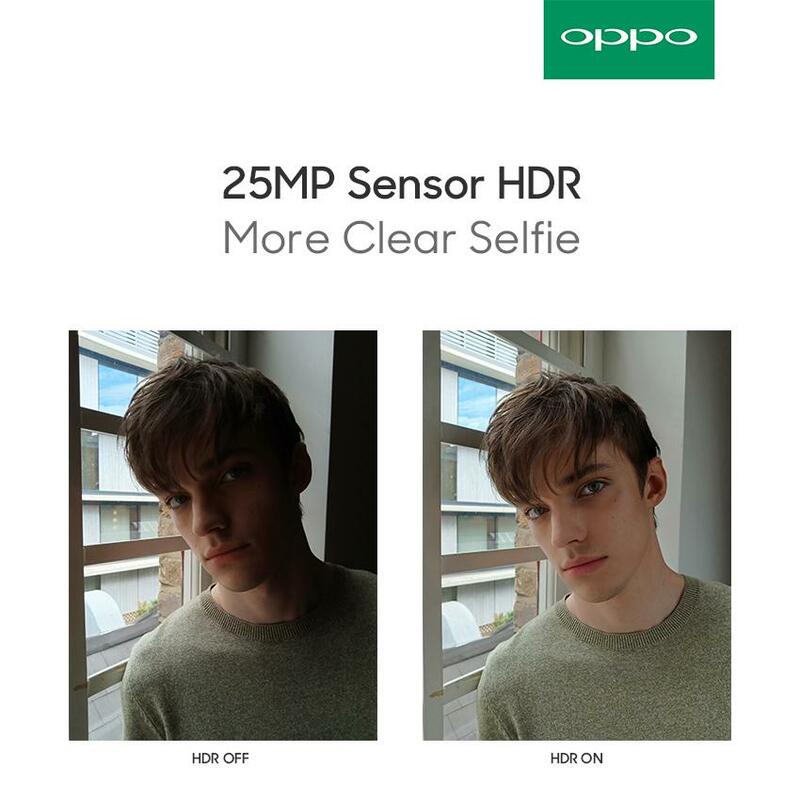 Re-invented with the "Sensor-HDR" technology that dramatically improves backlight Selfies and allows users to check high dynamic exposure love effects in real-time! 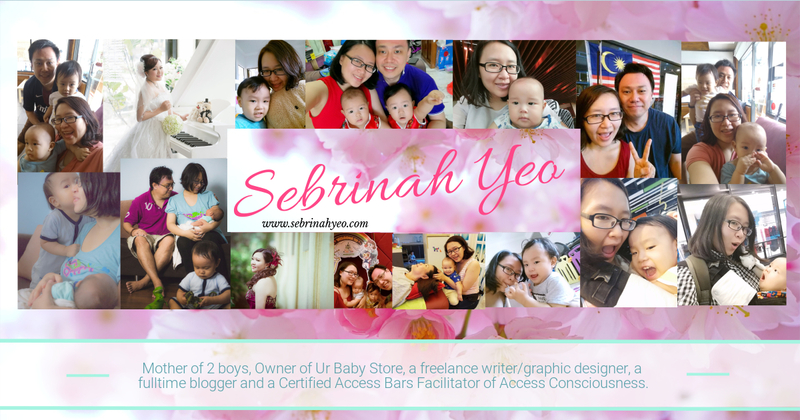 If you're an avid photographer or just a regular mobile user who loves taking selfies and photos of anything amusing (or even food!) then this would be the gadget for you. 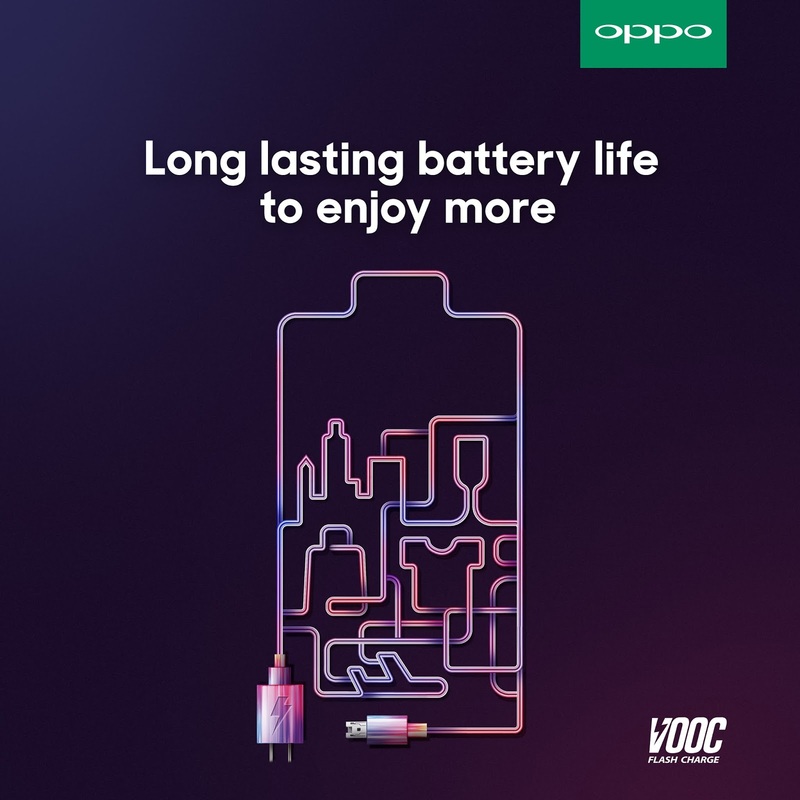 It has a 16MP + 2MP AI-enhanced dual rear cameras, designed to catch every moment with it's AI Scene Recognition pre-loaded. Now with their unique collaboration with Shiseido, OPPO F9 will launch an exclusive limited edition gift box that will come inbox with Shiseido Rouge Rouge lipstick in Primrose Sun (RS419) worth RM102 and a flash makeup service card that allows customers to experience a makeup service that Shiseido designed exclusively for OPPO F9 Starry Purple customers. You get to choose either one of the two types of makeup service, Romactin Daily Look or Chic & Cool Night Look, free with every OPPO F9 Starry Purple Limited Edition Gift Box purchased. 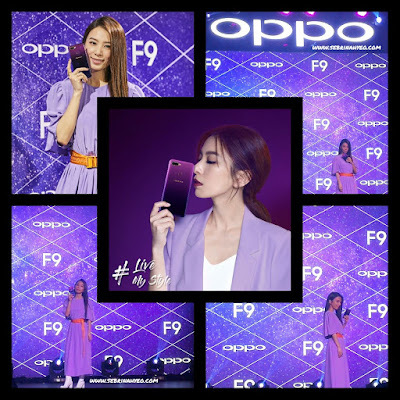 How much is the F9 Starry Purple and Limited Edition Gift Box? 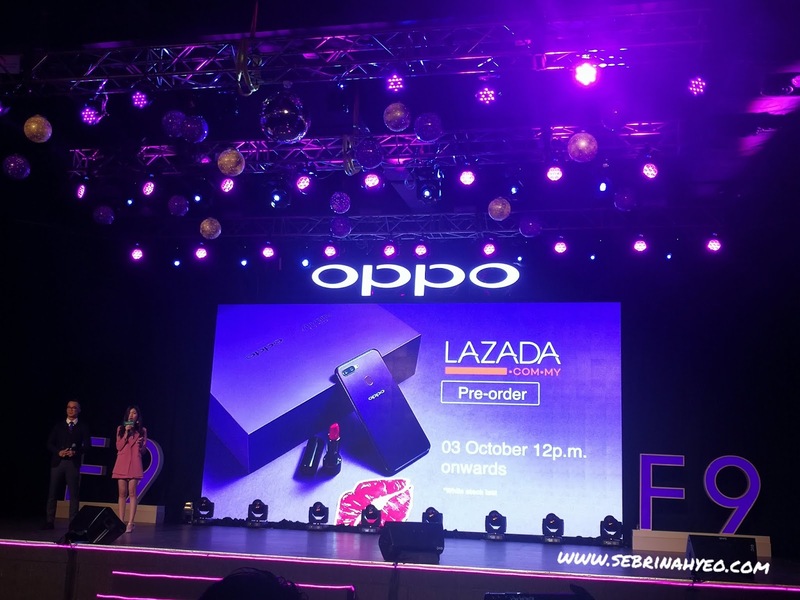 The Limited Edition OPPO F9 x Shiseido Starry Purple gift box is available exclusively at OPPO's e-commerce partner, Lazada online store starting from 3rd October 2018 from 12pm onwards, while stock last! 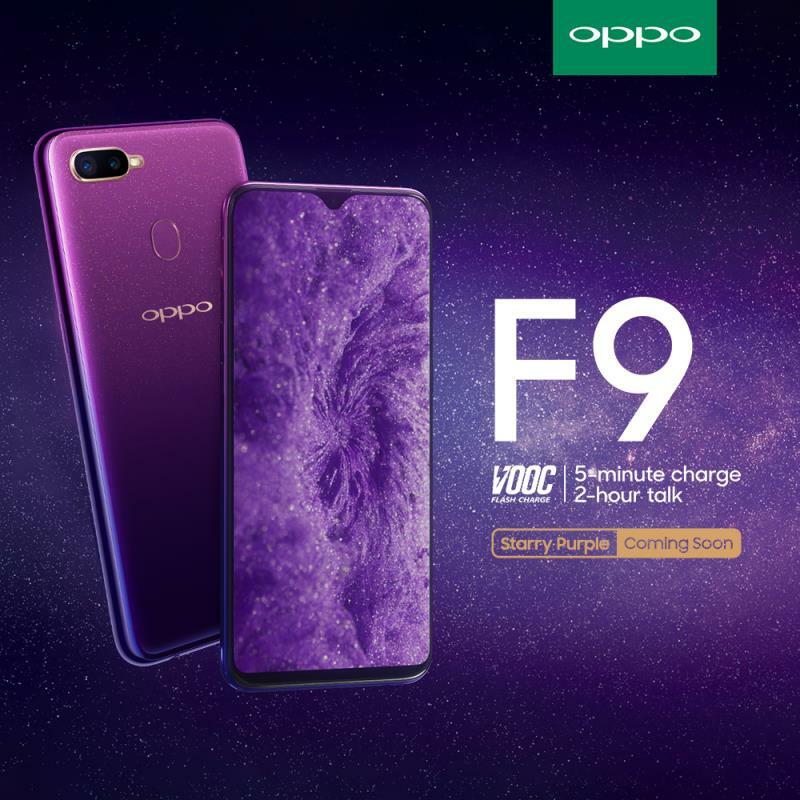 As for the normal edition of the OPPO F9 Starry Purple, pre-order starts from today, 2nd October 2018 onwards until 5th October 2018. 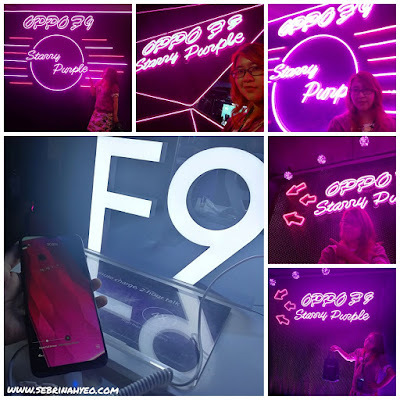 You can also drop by any OPPO Concept Stores or OPPO authorized dealer stores to purchase the OPPO F9 Starry Purple variant.